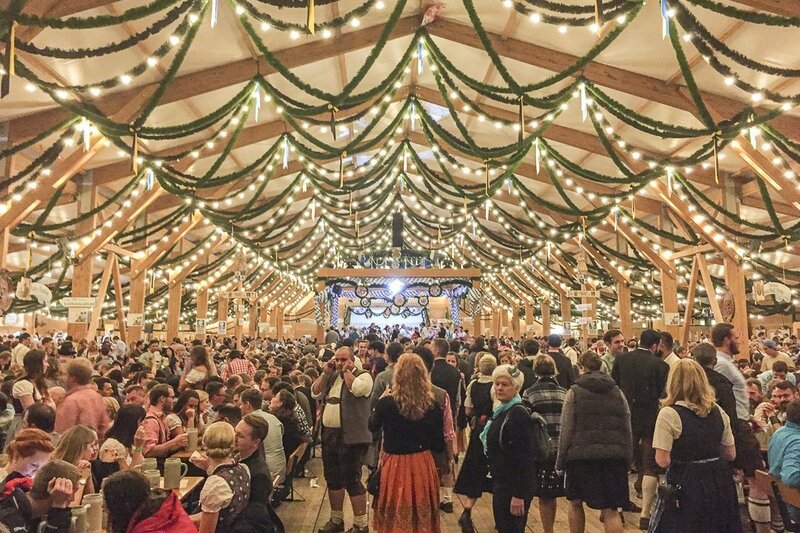 Imagine you’re all set up for your first genuine and worldwide famous Oktoberfest in Munich. Yeah, I know, there are more than 3000 Oktoberfest venues around the world, including Australia, USA, Canada and China among other countries. But the one in Munich is the original and you should definitely experience the real deal. So, you just booked your flight tickets to Munich (the one in Bavaria, Germany, not in North Dakota, USA), check! You secured a place to crash overnight or during the day (you know, because of the hangover and everything), check! You have even decided to buy the right outfit to fit in or stand out (that’s your choice 🙂 ), check! But What Is Gluten Intolerance Anyway? For those unfamiliar with it, gluten intolerance is a condition in which the gluten protein of ingested grains such as wheat, barley and rye is not fully digested. It hangs out in your intestine and is treated by your immune system as a threat, irritating the gut and limiting your capacity to absorb nutrients. Depending on its severity (between a gluten sensitivity to a full-blown celiac disease), symptoms can include stomach issues, fatigue, headaches, foggy mind, depression, nutrient deficits and more. There, the science lecture of the day. Anyway, that’s a bummer, isn’t it? Now what? Does it mean you’re banned from the Wiesn, with all that gluten-loaded beer, baked goods and flour-based sauces? Of course not! Even if the Oktoberfest is mainly about beer, it is also much more than that and you surely can enjoy it as a gluten-intolerant or even as a celiac if you’re super careful. As a gluten intolerant myself I’ve some pieces of advice that will surely help you get the most out of the feast and go back home with an intact gut. What the…?! No beer in the Oktoberfest?!. Nope, you better stay away from it. For a long time, German beer has been produced from only hops, malt, yeast and water and thanks to the old German Beer Purity Law or Reinheitsgebot (in place in Bavaria since 1516) and the conservative character of German brewers, that’s not likely to change any time soon. That means no gluten-free beer in the traditional Oktoberfest any time soon. That’s also the reason why you’ll never find Germany-produced fruit or honey beer like in Belgium, or any other type of craft beer at all. But fear not, many Festzelte or tents nowadays offer red, white and sparkling wine options or even mixed drinks. That’s the case of the Schützen-Festzelt, which offers just a few wine options, or the Kufflers Weinzelt with a full wine menu. All of them very recommendable! Another option is that you stock up and take your own favourite wine from home in a drinking bottle. However be aware that in some tents that’s not accepted. There are random checks quite often and they might confiscate your wine. Just check in advance ;-). This German bread speciality is widely available at Oktoberfest in huge sizes from the baskets of itinerant sellers at the tents or basically from every snack stand in the venue. Of course, brezn (pretzels) are produced with white wheat flour and are definitely a no go for us gluten-intolerants out there. And the same goes for basically any bread or breaded produce that you can find around. 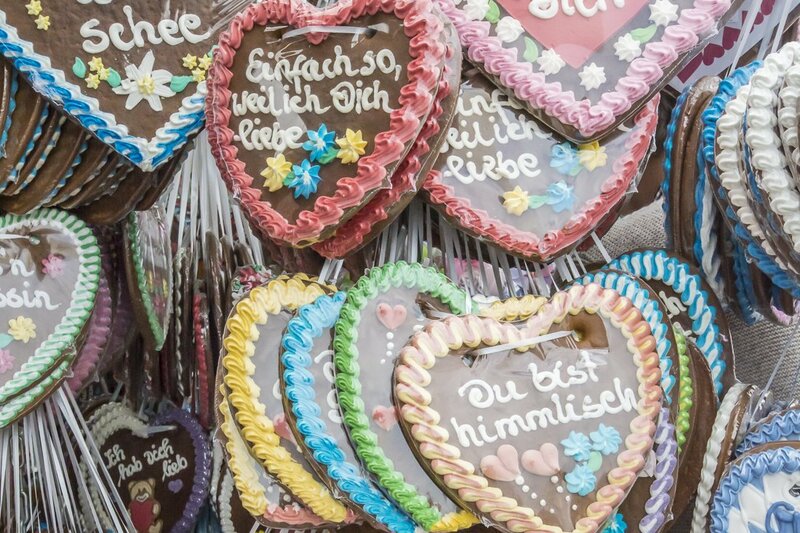 Does that mean there is nothing I can eat at Oktoberfest?… Not at all, there are options. Just keep reading. If you are a meat-lover, Oktoberfest is your chance to devour protein for the rest of the year. Pork, veal, chicken, duck, you name it. But in any case make sure that what you order do not come with any sauces, which come with wheat flour as thickener. 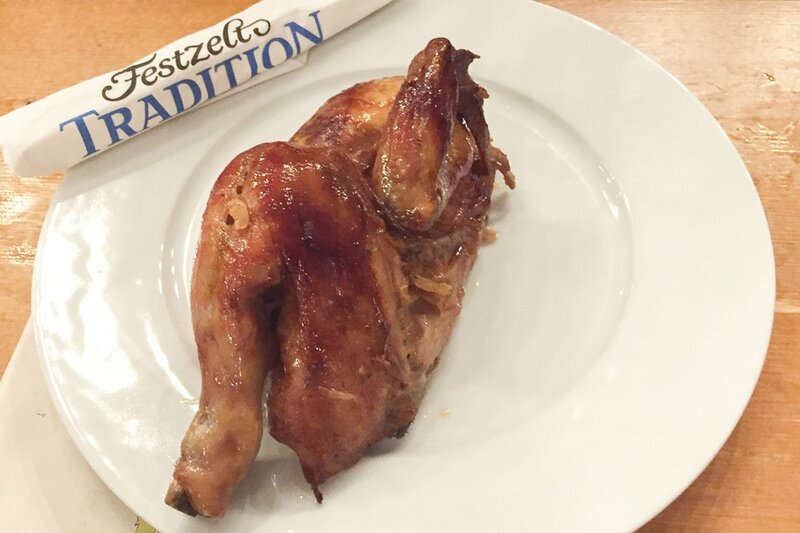 If you want to play safe, try half a grilled chicken (halbes Wiesn-Hendln in German, my personal favourite), a roasted ham hock (Schweinshaxe) or some roasted duck (gebratene Ente) with a side of green salad (Krautsalat), potato salad (Kartoffelsalat) or boiled potatoes with parsley or rosemary. In any case, you want to avoid potato or bread dumplings (Knödln) and sausages (Würst) altogether as you never know what sort of additives they use, wheat flour could be one of them. Or maybe you want to go for something a little bit lighter for a change? Oktoberfest does not only cater for meat-eaters. You can easily find traditional Bavarian fish dishes in some of the tents that will make you consider your meat appetite. 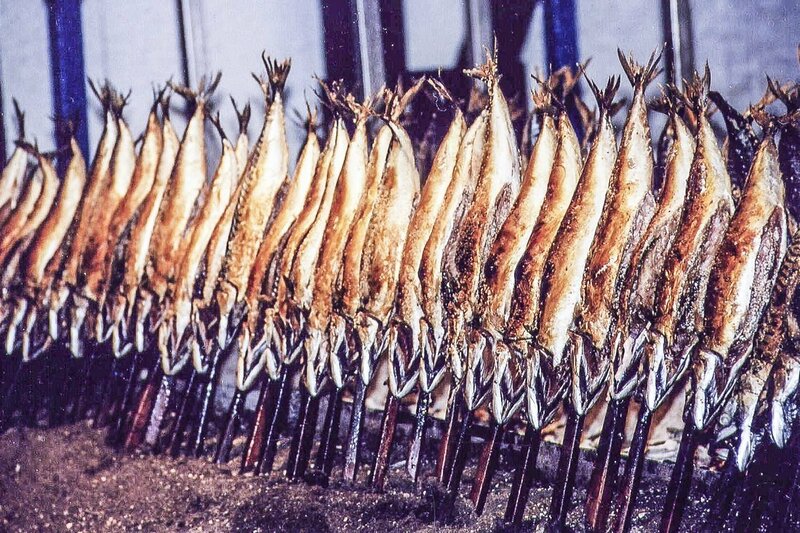 In that case, you should go and try the tent of Fischer-Vroni or Fisch-Bäda where the menus include a selection of smocked “fish on a stick” (steckerlfisch), grilled fish and seafood and even two or three prawn coconut curry types. You wouldn’t expect that, would you? However, as in many other fairs around the world, you can always find stands offering sugar-and-cinnamon coated nuts and sugar cotton all around. Even chocolate-covered fresh fruits are available everywhere and safe to eat. Not too bad after all, right?. It probably looks a bit better than you thought, doesn’t it?. One more advice. You should always check the menus online of the tents you plan to visit. By law, all dishes in the menu are required to be labelled according to their content of potential food allergens, and gluten is one of them. Also, just use your common sense and avoid putting stuff in your mouth when in doubt. You can always ask the waiters, but there is a very high probability that they do not know and you might be risking it. Of course, it all depends on your level of sensitivity to gluten and you know your body better than anyone else. And remember, a day at Oktoberfest can get crazy very quickly so whatever you drink, drink responsibly. 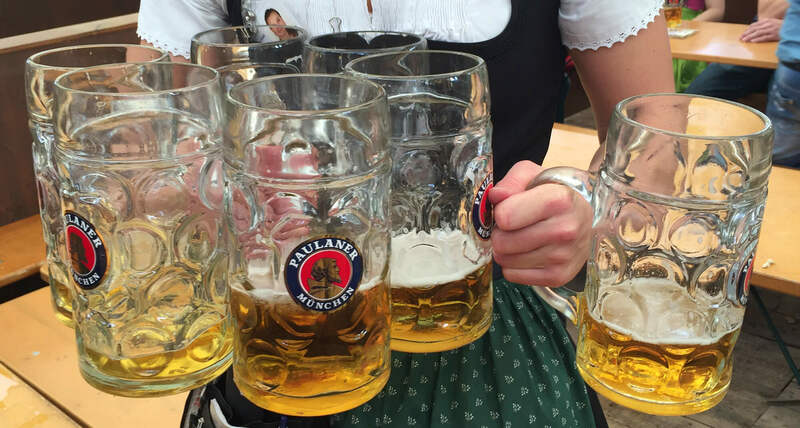 Well gluten-intolerant fellows out there, I hope that after reading this post you will look at Oktoberfest with different eyes. What About Bringing Your Own? 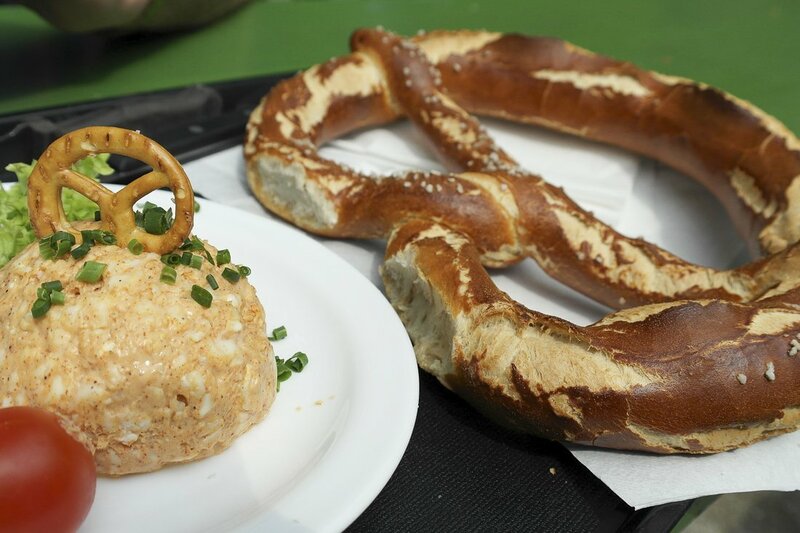 You might decide to bring in your own gluten-free stuff to Oktoberfest just in case and that’s alright. But every year security checks at the Wiesen are more exhaustive. You will not be allowed to enter with a backpack. Therefore, if you plan to do so, remember to carry everything in a small bag. Do you have any other hint yourself or questions that you would like to ask? Drop us a line in the comments section and let’s talk!